Paris (AFP) - Far-right leader Marine Le Pen could win the forthcoming presidential election in France, President Francois Hollande warned on Monday, vowing to "do everything" in his power to stop it happening. Polls suggest that Le Pen, leader of the National Front (FN), is likely to win the first round of France's election on April 23. However, surveys also show she would then lose in the deciding second-round run-off on May 7 either to the centrist and pro-business Emmanuel Macron or conservative candidate Francois Fillon. But with Fillon's campaign in turmoil over accusations he paid his wife for a fake parliamentary job from public funds, analysts have warned that the election is extremely difficult to predict. "There is a threat" of Le Pen winning the election, Hollande acknowledged in comments to French daily Le Monde -- part of an interview with six European papers. "The far-right has not been so high (in the polls) for more than 30 years but France will not give in," vowed the president. France "is aware that the vote on April 23 and May 7 will determine not only the fate of our country but also the future of the European project itself," he added. 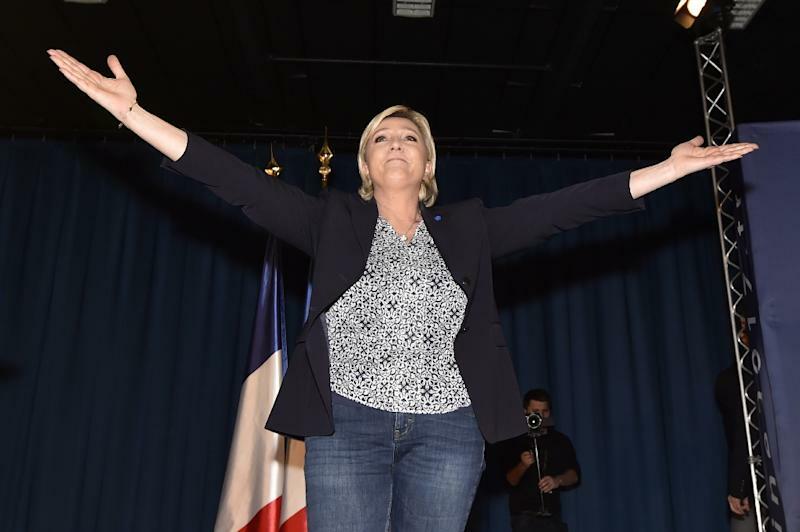 Le Pen has vowed to ditch the euro as France's currency if elected and hold a referendum on the country's membership of the European Union. He said it was his "last duty... to do everything to ensure that France is not convinced by such a plan" of taking the country out of the EU.